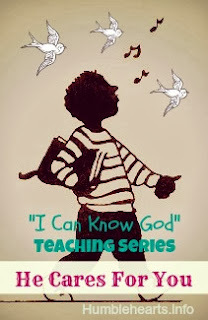 This is the final teaching in a series of 5 teachings teaching children about God. This is aimed at toddlers, preschoolers, and young elementary, with plenty of room to adjust for the needs of your child. I have taught this to my preschooler and toddler together. If I was just teaching it to my toddler I would have simplified and repeat things a little more. Going through the verses on your own first (as listed in "Parent Preparation") is extremely helpful in teaching young children accurately. Mom and dad birds hide their babies under their wings to take care of them. God can take care of you because He loves you. Take a blanket and spread it across your back and over your arms to pretend it is your wings. Have your child pretend to be a baby bird looking for food. Pretend that you see a fox and have your baby bird come under your wings. Repeat pretending that the baby birds have to come under your wings for rain, and for a hawk in the sky. (Read Psalm 91:4a) God doesn't have wings, He isn't a bird. A bird cares for it's babies, and God cares for you. How can God take care of us? We can go to Him in prayer and ask for help. David wrote this Psalm. He sang for joy when God took care of him. God cares for you. You can go to God in prayer and ask for help. Repeat the "Under the Wings" activity. Then sing songs to praise God while under the wings. Craft: Write on a piece of construction paper "He cares for you." Have your child glue craft feathers around the verse. 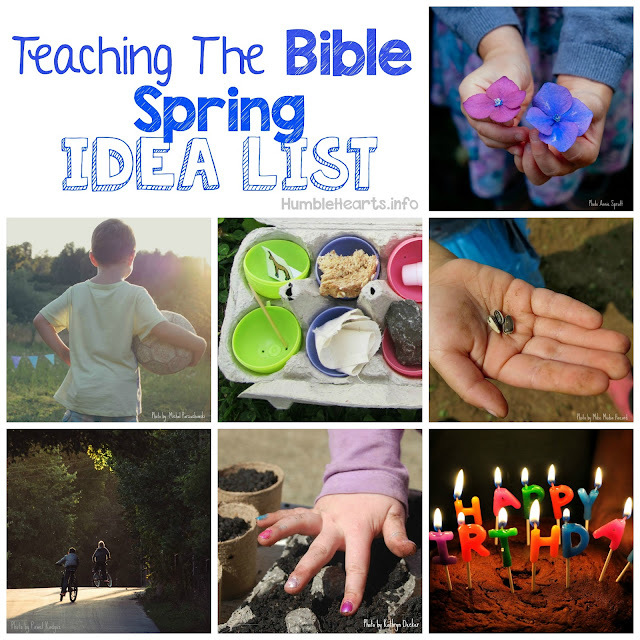 Learn about David: Look a pictures of David in a children's Bible or coloring book. Talk about how God took care of David and how David sang songs to praise God. Look at Pictures: Show your child a picture of a baby bird under it's parents wings.